Samir Nasri: Why was the ex-Arsenal & Man City banned for doping? West Ham midfielder Samir Nasri is set to return to football after being handed a lengthy doping ban in 2017 following his use of prohibited substances. Nasri’s ban, which was initially six months long but then extended to 18 months following a UEFA ruling, is set to conclude at the end of December. The former Manchester City and France midfielder has now signed a short-term deal with West Ham, marking his return to the Premier League under former Man City boss Manuel Pellegrini. Ahead of the Frenchman’s ban ending, Goal takes a look at why Nasri was banned in the first place. In association football, doping is the taking of banned substances or prohibited materials to enhance and improve sporting performance. Doping has been banned in sport by FIFA, and for athletes, doping and abuse of medication present several health risks and gives them an unfair advantage over others – which goes against rules of fair play in sport. Doping is also forbidden in certain countries such as Germany, where sports tribunals managing doping cases are able to hand out penalties within the sport concerned. In other countries, prison sentences are possible should players and sports bodies be found guilty of doping. FIFA had introduced measures to fight doping within the sport in 1966 and was one of the first governing bodies within sport to take measures against doping and to spread anti-doping messages. Why was Samir Nasri banned for doping? Nasri was banned from football for six months – which later became extended to 18 months following an appeal by UEFA’s ethics and disciplinary inspector against the original sanction –following a breach of doping violations from 2016. UEFA stated that the ex-France international was found guilty of using a “prohibited method” in violation of the World Anti-Doping Code and UEFA’s own anti-doping rules. At the time, Nasri was playing for La Liga side Sevilla while on loan from Man City. UEFA then opened disciplinary proceedings against Nasi in March 2017 and said in a statement earlier this year: “The player Samir Nasri has been found guilty for using a prohibited method in accordance with sub-section M2, par. 2 of the WADA (World Anti-Doping Agency) prohibited list. “In this context, the CEDB (control, ethics and disciplinary body) has decided to suspend Samir Nasri for six months for violation of the World Anti-doping Code and the Uefa anti-doping regulations. It had been revealed that Nasri had received 500 millilitre of hydration from Drip Doctors in the form of sterile water that continued micronutrient components while on holiday in December 2016. Nasri said that he felt ill and was vomiting before calling a doctor, his Maryland-based former partner Dr Sarabjit Anand, who gave him an initial diagnosis. He then received treatment in his hotel room and posted for a photo with the organisation’s co-founder Jamila Sozahdah that drew great attention on social media. WADA regulations state that there is only a 50 millilitre infusion limit per every six-hour period for athletes, and a request made by Sevilla for retroactive therapeutic use exemption (TUE) for Nasri was denied in February 2017 by UEFA – whose decision was upheld by the Court of Arbitration of Sport. 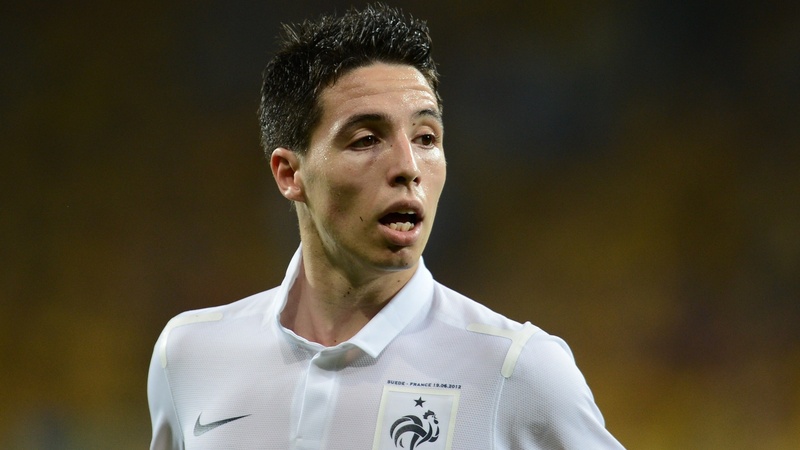 Has Samir Nasri’s doping ban ended? In August 2018, Nasri’s initial six-month ban was increased by a further 12 months following an appeal from UEFA’s ethics and disciplinary inspector. Nasri last played for Turkish side Antalyaspor and then had his contract mutually terminated in January 2018, and his ban is set to end this December. The ban is backdated to 1 July, 2017, despite the fact that Nasri has played since then, making eight appearances for Antalyaspor in between signing in August 2017 and leaving in January this year.